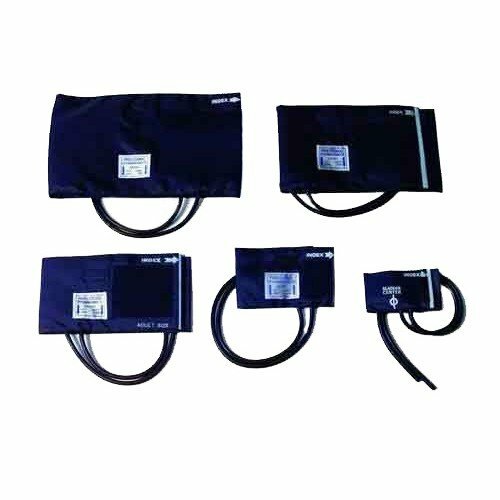 Blood Pressure Cuff and Bladder Replacements, manufactured by ReliaMed, are replacement parts for a sphygmomanometer, more commonly known as a blood pressure meter. This blood pressure cuff features two tubes, which means it is only for use with manual sphygmomanometers. These cuffs are a classic black color and are latex-free. 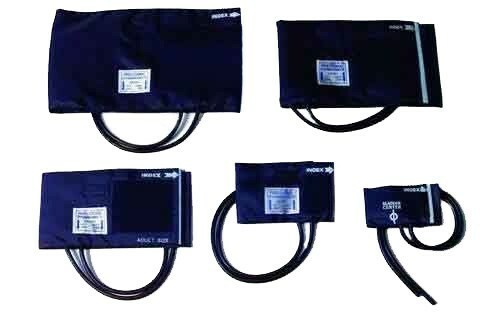 Compare to two tube blood pressure cuff and two tube blood pressure cuff with d ring. For use with manual sphygmomanometers. Product Numbers: P0060, P0061, P0064. Standard: Fits 9 to 15.7 inches. Large: Fits 13.3 to 19.6 inches. Thigh: Fits 15.7 to 25.9 inches. Application: To measure or monitor blood pressure.